I love stocking stuffers, and they are so much fun to give and receive. For the person who loves giving and receiving beauty gifts, I have a few fun finds to share that would make perfect stocking stuffers. FIXY Makeup Creation & Repair Kit ($48.00 from FIXY Makeup Amazon Store, Camera Ready Cosmetics and FIXY): This ingenious kit allows you to fix broken powder makeup easily and without making a huge mess. Furthermore, you can blend shattered powders to create custom colors. It is a perfect gift for anyone who depots their makeup because all-too often damage or breakage occurs while depotting, and this kit offers a very easy fix. Finally a way to recycle, repair and reuse all of your powders! FIXY Makeup fixes your broken powdered makeup as opposed to throwing it away. Armed with a mission to help beauty aficionados save time and money, FIXY strives to design creative and elegant solutions for makeup users who are searching for the next best thing. Featuring a blending box, grinding tool, makeup press, and an all-natural based binding spray, FIXY Makeup Repair and Creation Kit includes everything you need to take your powders from pulverized to pressed. Whether you’re fixing eye shadow, blush or highlighter, FIXY has got you covered. MakeupDrop Hybrid Silicone Pad + Blending Sponge ($15.00-$20.00 from MakeupDrop and Blue Mercury): This silicone pad and sponge is so easy to use, and it effortlessly blends liquid and cream foundation formulas to airbrushed perfection. It is easy to clean, and it prevents makeup waste and the spread of bacteria. The Hybrid is the perfect two-in-one applicator for all liquid and cream makeup products. Silicone for sculpting and outlining while still decreasing product waste and the spread of bacteria. Sponge for flawless, airbrush finish and even powder setting. Minimal product waste. The flat Silicone Drop is a clean and product saving surface for an initial application, or sculpting and outlining. The super soft & latex-free Sponge is ideal for that flawless airbrush finish. Pro Tip: Add a few drops of your favorite hydrating serum to the sponge for a nourishing and glowy makeup application. 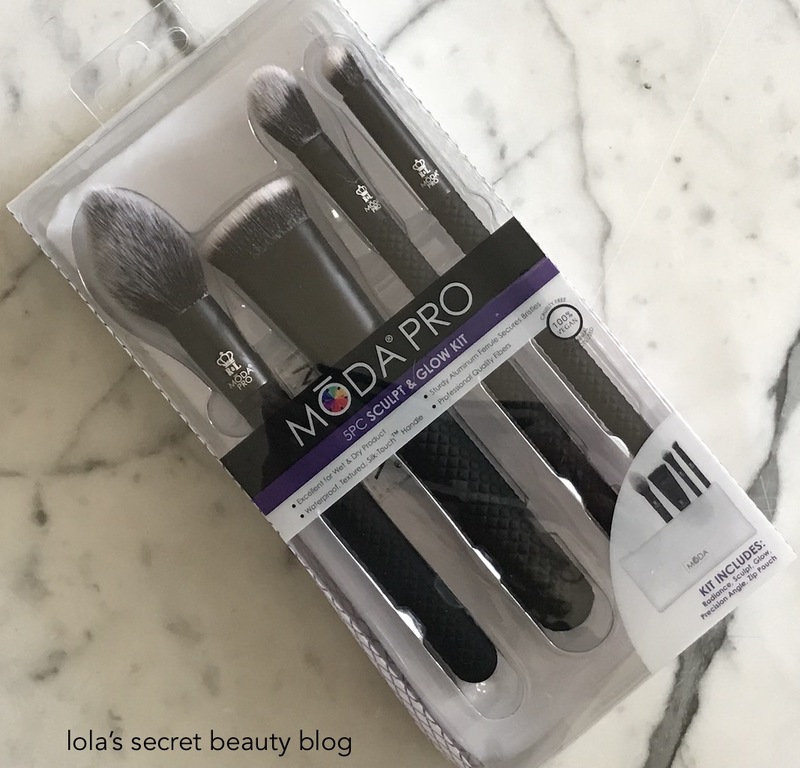 Moda Pro 5 Piece Complete Kit ($19.99 from BeautyUSA Royal Brush): This is a really good quality starter set that is made from synthetic bristles, and that is easy to use and it's affordable. This is a great stocking stuffer for someone starting their brush collection, or for anyone looking to add affordable synthetic brushes to their collection. MŌDA® PRO takes MŌDA® to the next level! This line features superior quality filaments and modern, professional shapes. The complete kit has all the brushes you need to finish a full time face of makeup. BMX-175 Flat Powder: Ideal for blush, powder, or creating a soft contour. BMX-141 Blend: Perfect for creating an even finish with liquid or mineral foundation and all over powder. BMX-225 Conceal: Apply and blend concealer to cover imperfections and create a flawless complexion. BMX-466 Shade:Apply color to your lid or use as a smaller blending brush to soften harsh lines. Zip Case: Perfect for taking your beauty on the road. 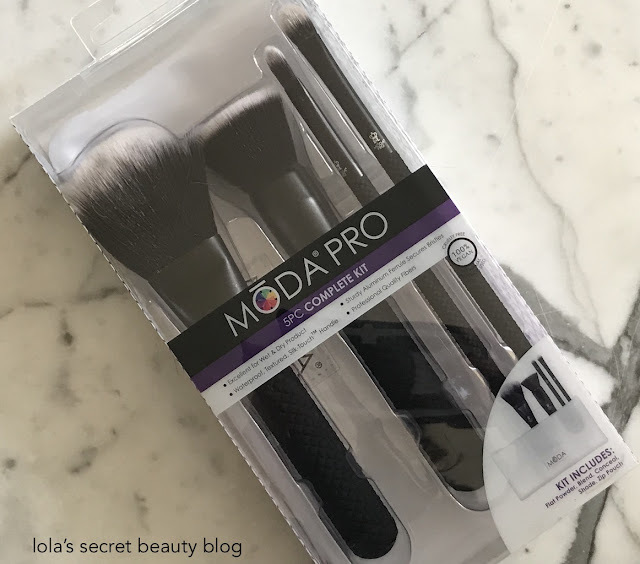 MODA PRO 5 Piece Sculpt & Glow Kit ($19.99 from BeautyUSA Royal Brush): This affordable synthetic set offers you every brush that you might seek for contouring and highlighting. It is definitely worth having if you have highlighters, contour powders and even bronzers, and if you don't want to spend a fortune on makeup brushes. It is a perfect stocking stuffer, and it comes with its own travel case. BMX-220 Radiance: Designed to apply a subtle dusting of blush or highlight for a natural glow. BMX-245 Sculpt: The narrow edge on this brush is ideal for creating dramatic contour. BMX-265 Glow: Ideal for creating a dynamic highlight on your cheekbones or forehead. BMX-465 Precision Angle: Ideal for applying eyeshadow to your entire lid or for creating contour on your nose. 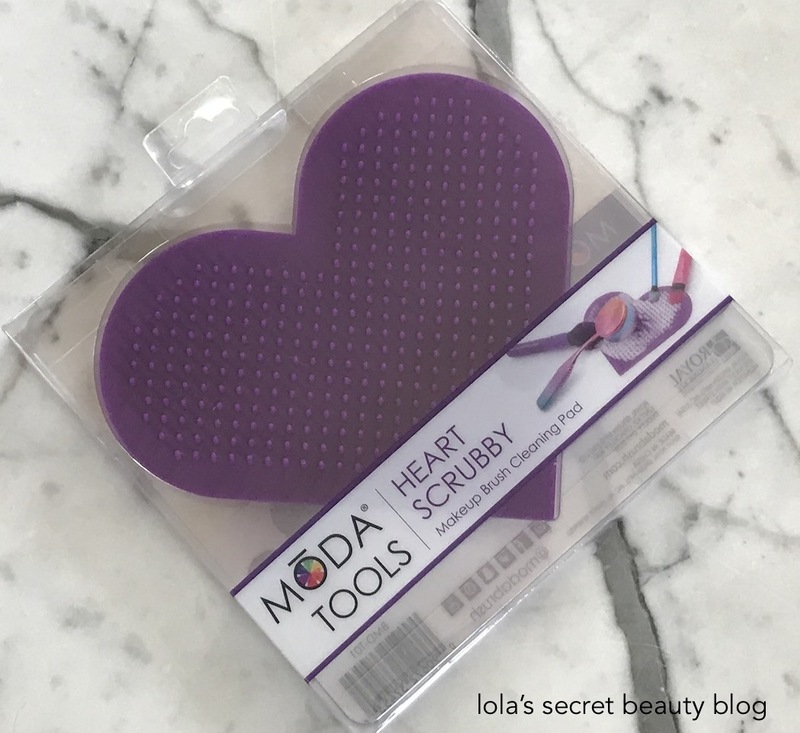 MŌDA® Heart Scrubby Makeup Brush Cleaning Pad ($5.99 from BeautyUSA Royal Brush): Not only is this makeup brush cleaning pad very effective and easy to use, but it is so cute that you can't help but enjoy using it. 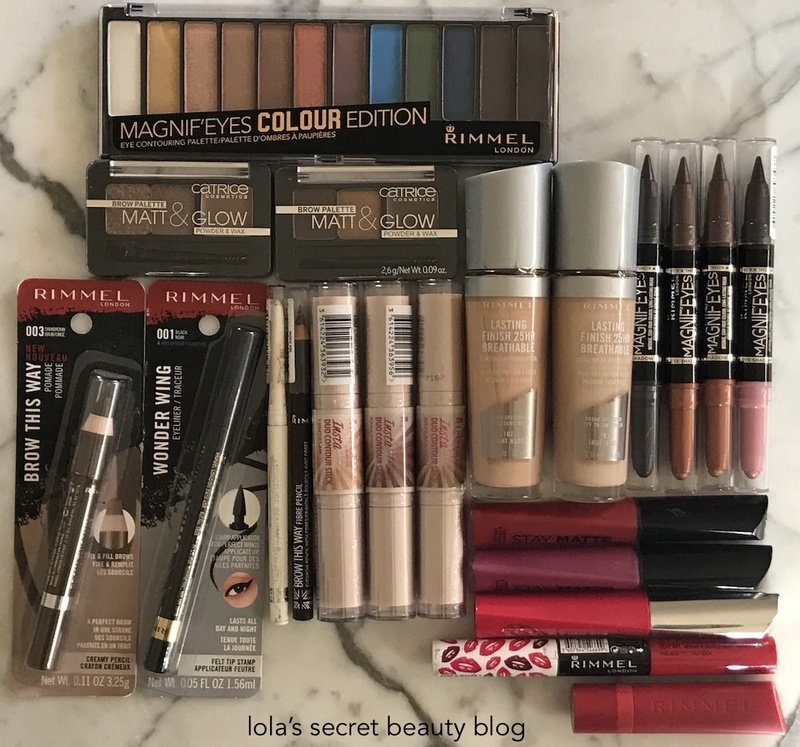 Rimmel London Makeup (Available from CVS, Walgreens and Walmart): Rimmel London is one of my favorite drugstore brands, and they have so many high-quality products that are a joy to use, and they are quite affordable. They also make perfect last-minute stocking-stuffers that you can pick up while you are at the drugstore. 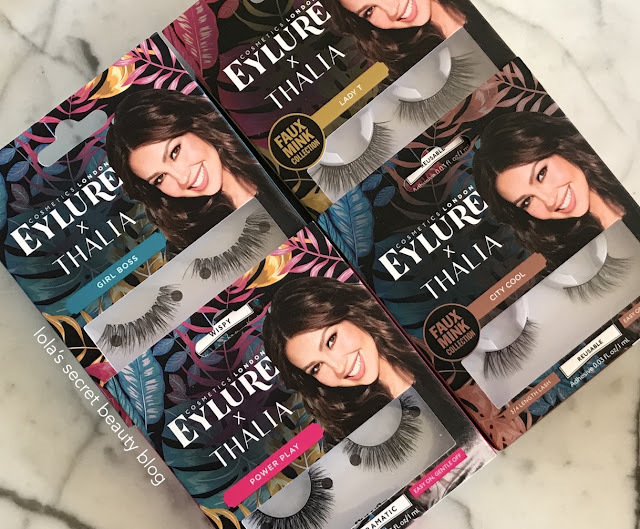 Eylure False Eyelashes ($4.99-$11.99 from Eylure, Ulta, Target and Amazon): If you are looking to purchase some false eyelashes for the holiday festivities for yourself, or to gift, then Eylure has a wide selection of first-rate lashes from which to select. Eylure – the world’s favourite brand for false eyelashes since 1947. You’ll love our range of fake eyelashes, including all-time Eylure favourites as well as the hottest collections from Vegas Nay, House of Holland, Fleur de Force, Rosie Bea and Cheryl. 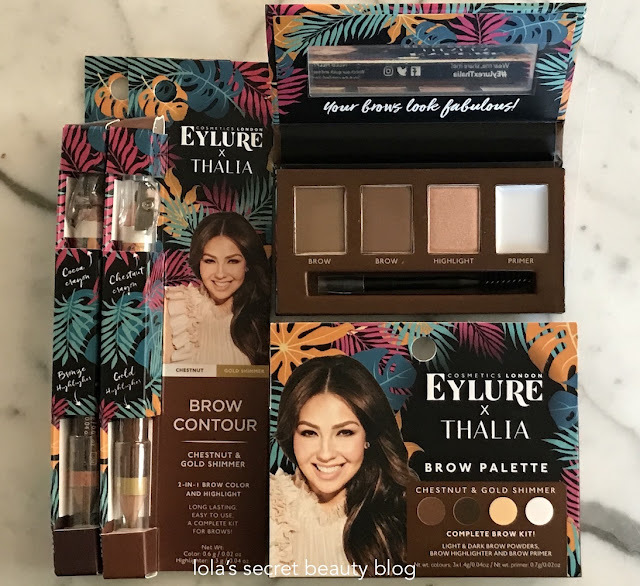 Eylure Brow Palette and Brow Contour ($8.99 from Eylure, Ulta and Target): Eylure also makes wonderful brow products that are perfect stocking stuffers for those who love perfectly groomed brows. Eylure X Thalia Brow Contour is a dual-ended brow contour crayon that includes a brow pencil on one end and a highlighter on the other. Described as a, "a long-lasting soft, pomade style crayon on one end with a translucent, shimmer highlighter on the opposing end"– the Eylure x Thalia Brow Contour is available in 3 brilliant colors, and they include a built-in sharpener for convenience. Available shades: Dark Cocoa, Mid Chestnut & Light Champagne, and they include a complementary highlighter tone (Bronze, Gold & Rose). Eylure X Thalia – Brow Palette Chestnut & Gold is a limited edition brow palette, which includes two shades of brow powders, a shimmery brow highlighter, and a brow primer. The palette includes a mirror, double ended applicator, and it is available in 3 shades (Dark Cocoa & Bronze, Mid Chestnut & Gold, and Light Champagne & Vanilla). Morgan Taylor Platinum Professional Nail Lacquer Collection (Top Row. $11.99 each from Ulta): First, I have to say that Morgan Taylor has some of the most beautiful polishes that I have seen, and their Platinum collection features vibrant holographic-sparkle shades that are absolutely stunning. Morgan Taylor Platinum is an uber-indulgent line that features only the most luxurious finishes and lavish textures. Platinum is a long wear formula that lasts up to 10 days. Morgan Taylor like you've never seen it before! Morgan Taylor African Safari Professional Nail Lacquer Collection (Bottom Row. 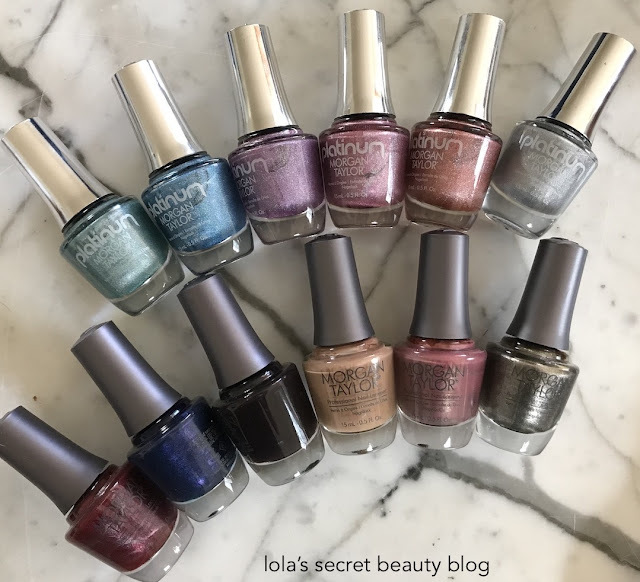 $9.50 each from Ulta): The Safari Collection features "brilliant pearls of sapphire, pewter, and garnet compliment saturated crèmes" that are perfectly suited for the holiday season. Hair RX Advanced Hair Care (Order from Hair RX or from their Amazon Store): Hair RX is a wonderful brand that blends custom haircare products for its clients. You simply fill out a 4-part questionnaire about the needs of your hair, and then Hair RX creates products based upon your specifications. Not only are their products wonderful to use, but they make fantastic gifts. You can order a complete set and give it as a gift to one person, or split it up and distribute as stocking-stuffers for several people. - We take the guesswork out of selecting the right shampoo and conditioner for your hair. - We address all of your concerns instead of just one. - Our luxurious, gentle, salon-quality formulas are created by highly skilled cosmetic chemists in Italy. - Every formula has been tested (over and over again) in award-winning salons and by expert stylists. 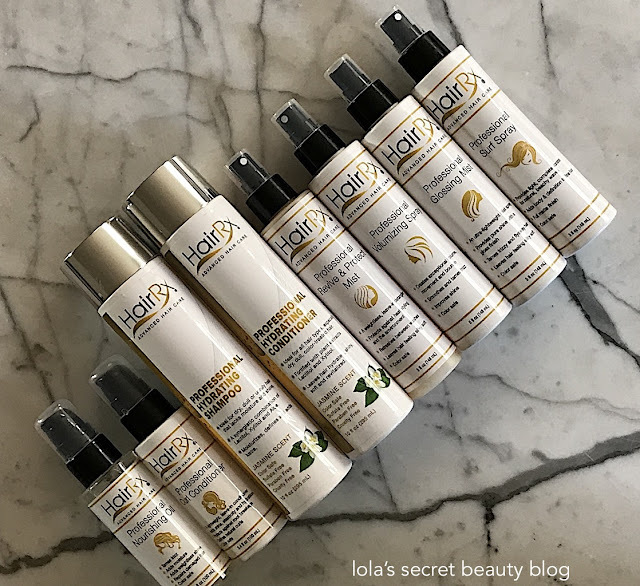 - All our formulas are Sulfate Free, making them 100% safe for color-treated hair and hair extensions. - We do not use parabens or other harsh chemicals. - Our Cruelty-Free products are NOT tested on animals. Milk + Sass Macaron Detangling Hairbrush & Compact Mirror ($12.99 from Milk + Sass, Amazon and Walmart): This unique travel brush, which looks like a large macaron, is so convenient for traveling, and it even has a built-in mirror! It comes in six colors: Raspberry, Black Licorice  Framboise, Mint Citron, Lemon Pistachio, Rose Petal and Lavender. Leave a few in your guest bathroom for your overnight guests, or as stocking-stuffers. 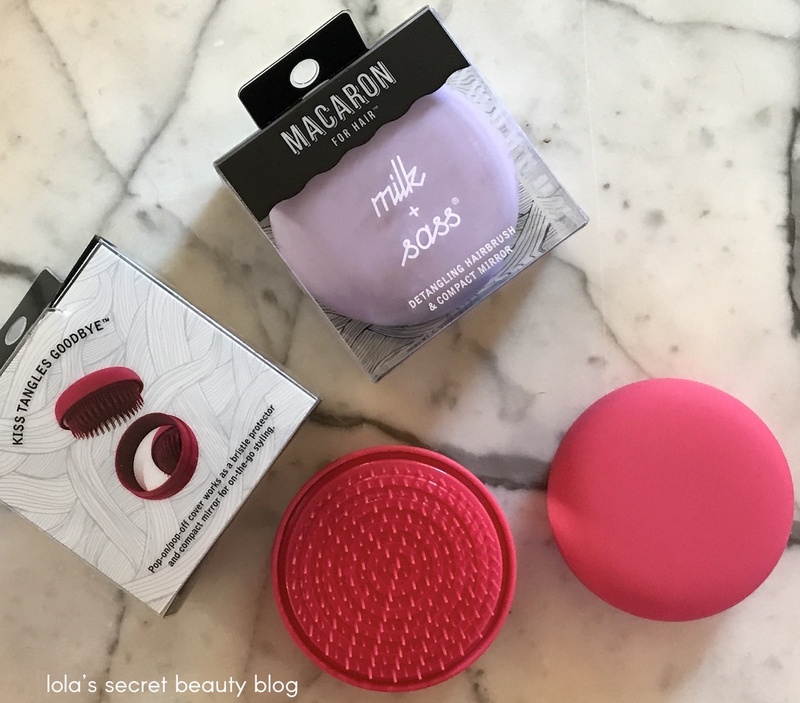 Macaron for Hair® Detangling hairbrush is a French inspired, California designed delicacy that is expertly crafted for every hair age, type, and texture. 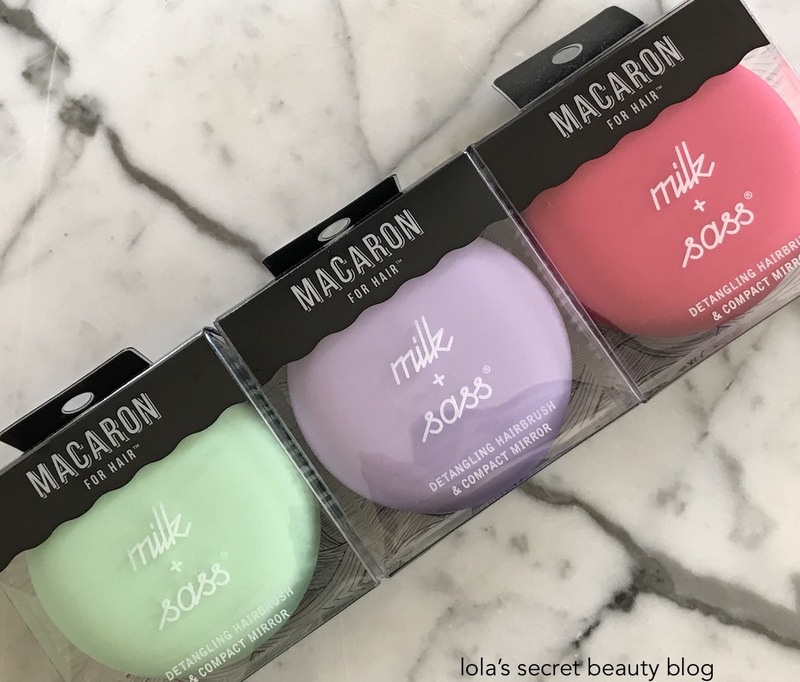 The Patented Design boasts Milk+Sass’ strategically sturdy radial bristles, which are placed at varying heights and widths to glide through all hair types quickly, painlessly, and without the breakage caused by other conventional hairbrushes. The only side effects: less frizz and ample shine. 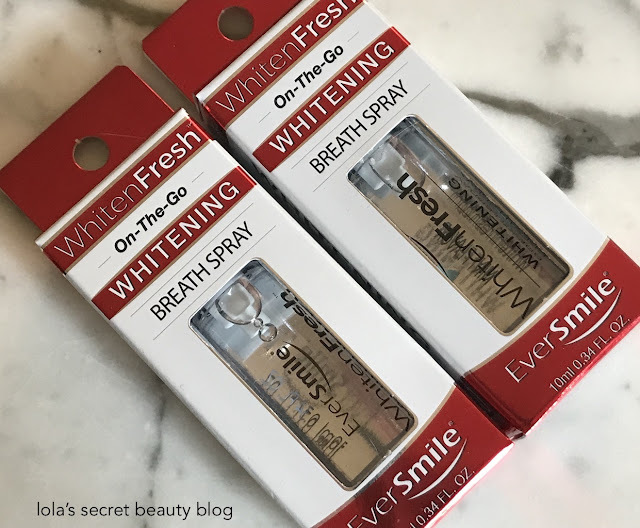 EverSmile WhitenFresh On-the-Go Whitening Breath Spray ($11.99 for two bottles from EverSmile and Amazon): This two-in-one teeth-whitening and breath-freshening spray kills bacteria, and is formulated to help prevent coffee stains after regular use. It comes in a handy small stray bottle that easily fits into your purse or pocket. EverSmile® WhitenFresh™ is a patented cleaning, freshening and tooth whitening spray that also kills bacteria that cause bad breath and tooth decay. 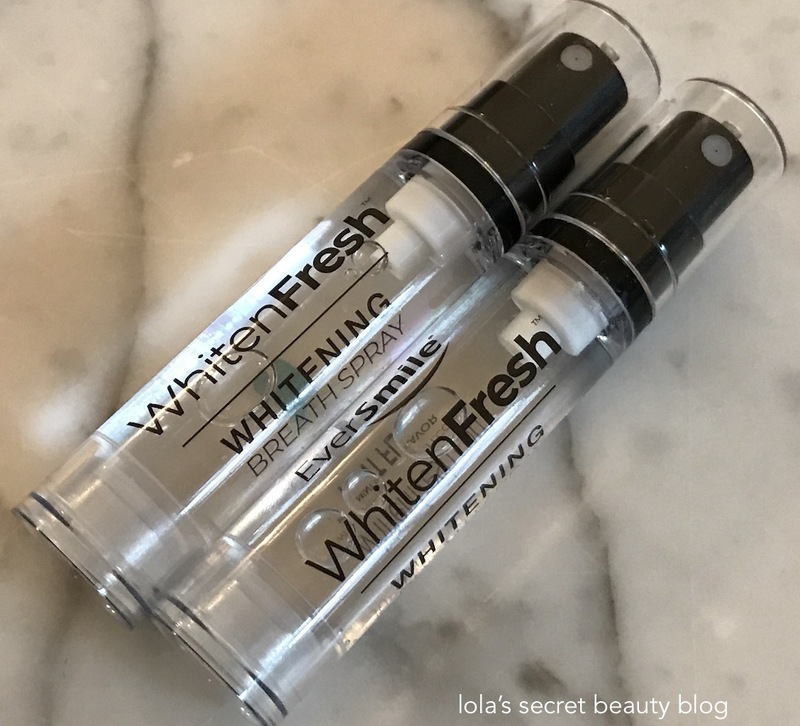 WhitenFresh is perfect for refreshing your breath after a meal or before an important meeting. Used regularly, WhitenFresh can prevent coffee stains from ever setting in and will work to correct wine and smoking stains. Because WhitenFresh uses a low dose of hydrogen peroxide, it does not cause the sensitivity you experience with whitening strips and gels and can be used safely up to 6 times per day. Innovative & Effective: First On-The-Go Teeth Whitener Spray. Patent pending cleaning, freshener & tooth whitening foaming spray technology. Running Late: When You Can't Brush WhitenFresh. Keep in your purse, car or carryon for easy access, whiter teeth & fresh breath when you need it most. Whitens Teeth: Spray gradually whitens & removes Coffee, Wine, Tea & Tobacco Stains with virtually no tooth sensitivity. Freshens Breath: Unlike other sprays that simply mask the odor, our hydrogen peroxide formula targets odor-causing molecules, the underlying cause of bad breath, in one single spray. Ingredients: Water, hydrogen peroxide, glycerine, PVP, PEG, sucralose, sodium citrate, sodium benzoate, etidronic acid, mentha arvensis (mint) oil. Overall Assessment: These are definitely wonderful stocking stuffers that are sure to be a hit! What types of stocking stuffers are you buying this year? Love your suggestions. If only I lived close enough so that you could come stuff my stocking!! I use my Macaron brush all the time. My granddaughter loves going through my purse and that's what she looks for first. I have a few Moda brushes and the quality is terrific for the price especially. I'm going to Ulta this week and checking out those Morgan Taylor Platinum polishes. Thanks, Marcia! If only we lived close, indeed! I am not at all surprised that Talia loves your Macaron brush! 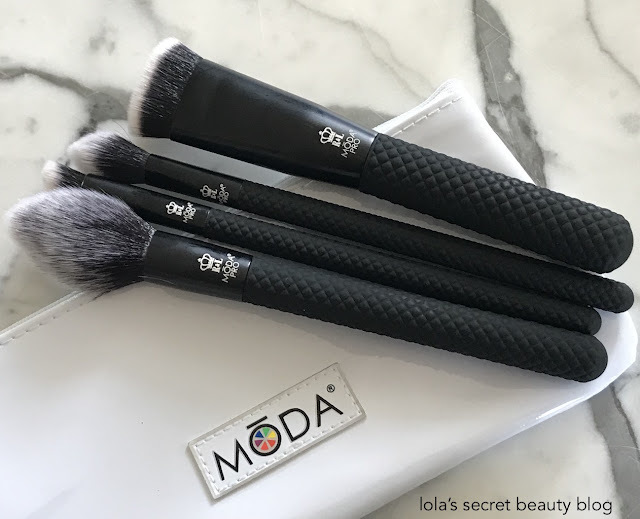 The Moda brushes are so nice and affordable! I highly recommend that you check out the Morgan Taylor polishes on your next Ulta trip! They are so beautiful! I needed that makeup repair kit last week when a blush came in the mail and was shattered! All great picks! I love shopping for stocking stuffers! It is so handy to have! I just wish that I had this kit when I was depotting tones of eyeshadows and blushes a few months ago! I think that new makeup drop hybrid is pretty smart! I like both silicone and traditional sponges so having both in one tool is really convenient. Exactly! It is such an ingenious idea, and it works so well! Fabulous picks here! I would love anything from Rimmel or the makeup brush cleaning pad! Thanks, Babi! you really can't go wrong with Rimmel, and the brush cleaning pad is amazing!